Your body and mind should be in sync in terms of wellness, self-care and health. At Beleza we offer comprehensive well-being services to keep you feeling your best. We go beyond traditional methods of self-care to include anti-aging treatments, nutritional services, menopausal services and more. 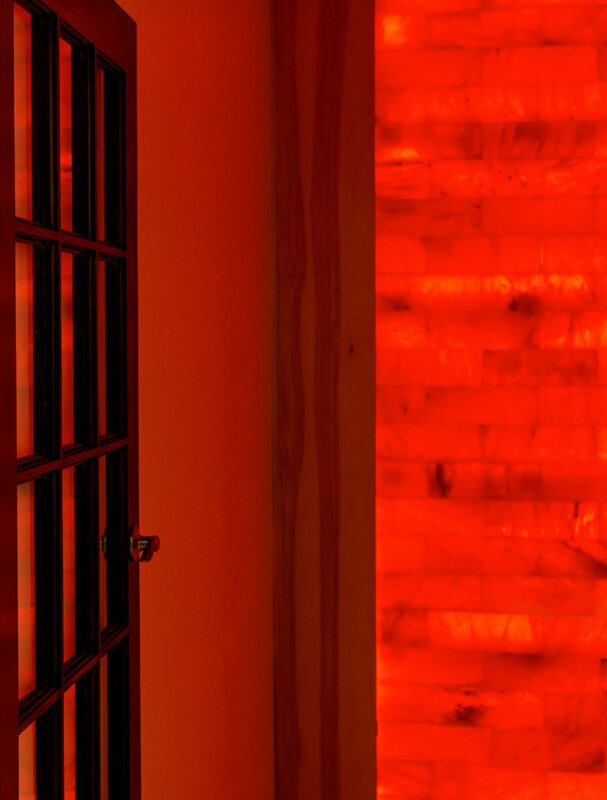 Our distinctive Himalayan salt therapy room and infrared sauna are two of our newest amenities that provide the highest standard in well-being treatments. The wellness benefits involved with Himalayan salt range from lowering blood pressure to boosting bone health. The infrared sauna can aid in the anti-aging process, as well as assisting with weight loss. Private rooms and individual attention to clients provide intimate and calming sessions to make the most of our therapeutic and well-being services. 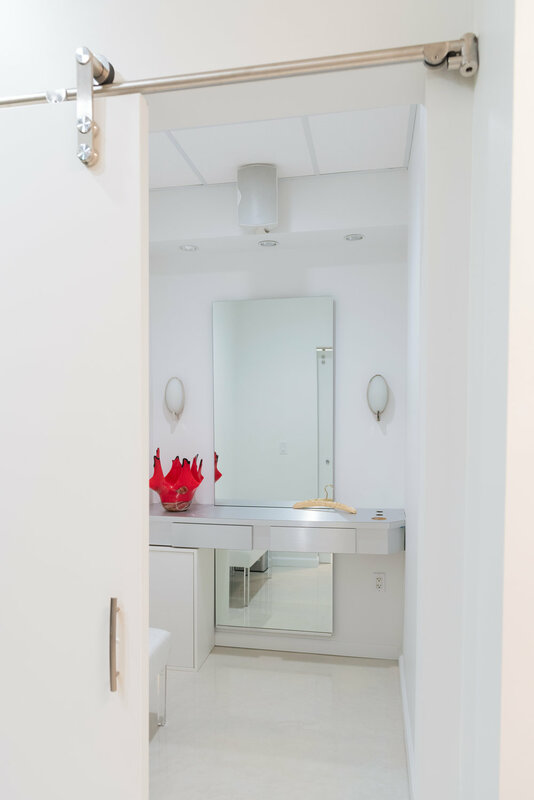 At Beleza, our client’s comfort, needs and privacy come first. Himalayan crystal salt, considered the purest and most beneficial salt ever discovered on earth, contains 84 naturally occurring minerals and salts. Resonating at the Earth’s frequency, Himalayan salt balances and neutralizes the ill effects of the toxic frequencies we live with every day. Experience one-on-one yoga sessions in our intimate Himalayan salt room equipped with a restorative illuminated salt wall. Based on Kundalini/Yin yoga, sessions will incorporate movement, active breathing techniques, stretching and relaxation. Many yoga breathing techniques help reduce stress, increase energy and improve health on all levels. Most of these practices fall within the branch of yoga known as pranayama. Yogic breathing loads your blood with oxygen as it nourishes and repairs your body’s cells to maintain health at the most desirable level. This customized restorative experience, involves the manipulation of soft tissue structures of the body to prevent and alleviate pain, discomfort, muscle spasms, and stress. You will begin to deeply relax and take a mini vacation for your body, mind, and spirit. Our Relaxation Massage is taken to the next level when performed in our private Himalayan salt room. This relaxing massage experience is enhanced with the healthful benefits of breathing in the natural vapors released from a gently-heated illuminated Himalayan salt wall. Infrared saunas are an effective tool for natural healing and prevention. Infrared light has the ability to penetrate human tissue, which in turn produces a host of anti-aging health benefits. Infrared saunas mimic the same infrared frequencies emitted by the sun and the tissues in the human body absorb these waves. This process is called "resonant absorption," and occurs when the frequency of the water in the body’s cells match the frequency of the infrared waves. When this occurs, toxins are released into the blood stream and are excreted from the body. Since the body is absorbing the heat and not the air, the body quickly begins to perspire and release the toxins. Beyond the incredible relaxation effect, it has also been shown that endorphin levels increase after an infrared sauna session. The word "Halo" comes from Greek origin meaning salt. Himalayan Salt is considered the purest and most beneficial salt on earth. "The calming and detoxifying effects of halotherapy can support the immune, nervous and lymphatic systems. Additional benefits are reduced stress and headaches, increased energy, and better sleep patterns."